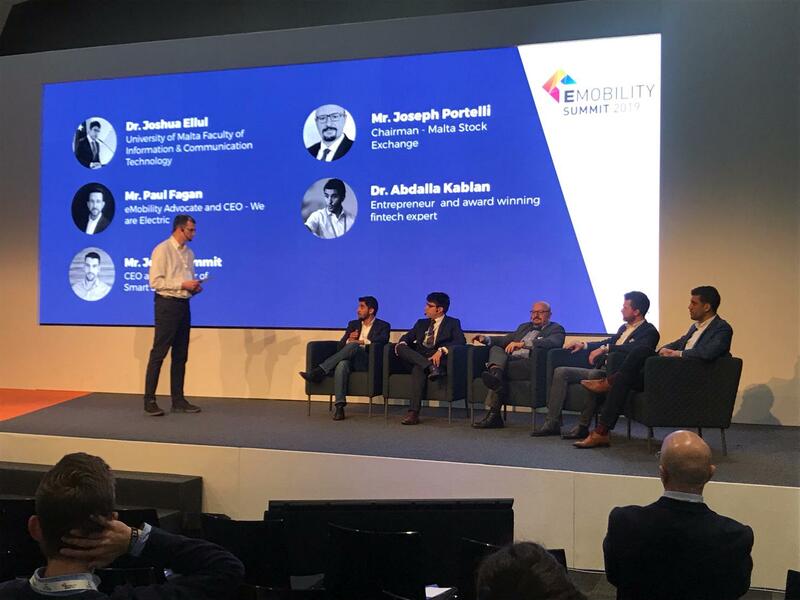 Tilix Smart Energy is proud to have supported Malta’s inaugural E-Mobility Summit. Malta’s potential to act as a proving ground for ongoing innovation in mobility was a major theme of the summit. There was a good mix of OEMs, mobility service providers, consultants and policymakers in attendance. The opening keynotes were delivered by Malta’s Prime Minister Joseph Muscat. His inspiring call to action was elaborated further by MEP Dr Miriam Dalli and Malta’s Minister for the Economy, Investment and Small Business, Dr Chris Cardona. Malta’s AI and Blockchain tsar, Silvio Schembri, believes the islands are perfectly placed to take advantage of the rapid innovative and regulatory changes that will be needed for these technologies to go mainstream within the mobility sector. Experts from the industry highlighted the latest technologies and discussed how the e-mobility sector is rapidly becoming more interconnected and autonomous. Other OEMs participating in the event included Porsche, Volkswagen and Nissan and start-ups Uniti EV and Fenris Motorcycles. Norwegian EV Association Secretary General, Christina Bu, gave a keynote that outlined how Norway’s mass market adoption of EVs is progressing. More than 40% of new cars sold are fully electric and this number continues to grow. Christina also considered China’s position as the world leader in EV production and how the European market is in their sights. Tilix CEO, Dr Neil Williams, participated in two panels. First as a speaker and then as a moderator. To realise this e-mobility ambition, the Maltese government has committed an investment of €700m in the country’s road and transport network to lay the foundations for infrastructure that can accommodate the emerging future of e-Mobility. The private sector is busy too. For example, the GoTo car sharing network launched recently and has put 150 electric cars on the road. In addition to electrification, other themes explored by speakers included autonomy, V2X via 5G connectivity, power networks, renewables, energy storage and blockchain. EVs are going mainstream. An overview of the Norwegian market (where 40% of new cars are electric) gave delegates a glimpse of the future for Malta. Europe can leverage the emerging ACES mobility market as a major job and wealth creator. Legislation will play a key role in transforming the mobility sector. Policymakers in Malta want the nation to be leaders not laggards. The transition to new transport modes will come in successive waves. In the short term, EV ownership will steadily increase. Then shared mobility will grow rapidly in the medium term. Fully autonomous vehicles will hit the roads in the longer term. Mobility-as-a-Service will force OEM business models to change. Consumers can look forward to having much more flexibility and choice. For example, on any given day, drivers will be able to pick and choose which vehicle they want to drive. Yet they will be able to maintain a consistent driving experience because the vehicles will have software defined dashboards which are instantly reconfigurable. Malta’s doors are wide open for innovative manufacturers and service providers across autonomous, connected, electric and share mobility.